Dave Brewer is a responsible and dedicated country vet. Around farm animals he is incredibly professional, caring and sensitive. Around people his style is a little more bizarre. Women are attracted to him but are often stunned by his unreconstructed take on the female of the species. Things change as they get to know him—behind the jokes Dave is a warm and loyal friend to have, a man who genuinely adores and appreciates women, and is therefore irresistible. Dave came within an ace of marrying Tess McLeod before all their plans went awry. In 2004 Dave inadvertently spiked a growing romance between Tess and Nick. It was a prickly triangle between these three, but despite this Dave grew to be one of Tess' greatest friends and confidantes. He's a friend to all the Drovers' women, but must tread an especially delicate path with Kate Manfredi, who finds herself in desperate unrequited love with him throughout the ups and downs of a busy year. Dave is looking for the perfect partner in life. Tess would've filled that role—but Dave had to stand back and watch, near the end of 2004, as she wed Nick. But his loyalty to Tess will prevail—and it's loyalty which will help Tess face some of the hardest moments in her life. In 2005 Dave's past will come back to haunt him when his younger brother Patrick visits. Patrick is determined to air some grievances and discuss a horror from their childhood. He will again be thrown off-kilter when, in an attempt to put something back into the profession he loves so much, he takes on an attractive, over-achieving vet student who doesn't take no for an answer and puts his career at risk. Brett Tucker joined McLeod's Daughters in 2003 as the lovable larrikin and dedicated vet Dave Brewer. 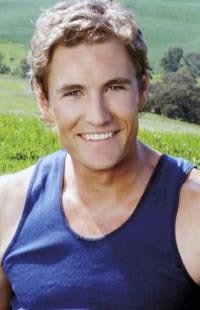 Growing up in the Yarra Valley in Victoria gave Brett an appreciation and love for the country so he was a natural choice for the role of Dave. Brett undertook work experience with a country vet in order to understand the complexities of being a vet in a small country town.